Tuesday, 28 September 2010 PGR Criminally Accuses Dr. JLG and Dr. ZAC, PM Proposes the Suspension of DPM and MNE Dili, Tempo Semanal 26/09/2010 - Whilst the resignation of the Deputy Prime Minister Mr. Mario Viegas Crarascalao is till fresh on the minds of the Timor-Leste public, the Prime Minister Jose Alexandre Kay Rala Xanana Gusmao has recently requested the suspension of two senior members of his government, Deputy PM Mr. Jose Luis Guterres and the Minister for Foreign Affairs Dr. Zacarias Albano da Costa from their positions as ministers, because they have been formally indicted as accused by the Prosecutor General. “Via this letter I inform the National Parliament that formal indictments have been issued accusing the Deputy Prime Minister Mr. Jose Luis Guterres and the Minister for Foreign Affairs, Dr. Zcarias Albano da Costa, of the crimes of illegally obtaining financial benefits as a result of abusing their powers/authority, in accordance with article 113 of the Constitution of the Democratic Republic of Timor-Leste,” was written in the first paragraph of a letter signed by PM Xanana and sent to President of the National Parliament Mr. Fernando Lasama Araujo on 15 September 2010. Lowy Interpreter by Cillian Nolan - 16 September 2010 12:10PM Cillian Nolan is the International Crisis Group's Dili-based analyst. dEight years after independence, there is still no way to legally buy, sell, or prove undisputed ownership of land in Timor-Leste. When Timor-Leste's Vice Prime Minister Mario Carrascalão quit last week, his resignation letter noted that land ownership had been 'transformed into a monster' by hidden vested interests. The need for a 'land law' has been talked about for so long that expectations are high after the Government approved a law on titling in March, now awaiting parliamentary approval. Few have read the complex law, which would establish the first ownership rights in a country that has inherited overlapping titles from Portuguese and Indonesian administrations. There's little data on how much of the country's land is subject to overlapping claims — many of the country's land records were destroyed in the violence surrounding the 1999 referendum. A greater difficulty than reconciling these claims may be accommodating formal titling with the reality that the vast majority of the country's land remains under customary ownership, meaning communities turn to traditional leaders for guidance on usage and ownership. In many areas, these long-standing customary rights are stronger than any formal title. In Dili, members of the former vice-prime minister's own influential family recently took a local leader to court for distributing land not far from the airport to residents in need of housing. He says it's 'empty land', but the Carrascalãos claim ownership based on an old Portuguese title. In the country's second city, Baucau, state-owned land around an Indonesian-built gymnasium is contested by at least two communities: one believes it has rights to sell the land, while elders from another want to distribute it for free. Evictions and resettlement will remain a challenge for the Timorese state. Efforts to enforce a 2003 law on state ownership of property have often failed. Compensation has been ad hoc and set bad precedents. After thousands of families whose homes were destroyed in the 2006 crisis were paid $4500, it is now difficult to resettle anyone for less. A constitutional right to housing exists, but there is no policy or funds to address this obligation. Not one displaced person re-settled after the most recent crisis was provided with government housing. In rural areas, the issues are different. To boost agricultural productivity, pre-UN administrations resettled people near the border town of Maliana. This first brought settlers from neighbouring villages and later Balinese transmigrants, who fled in 1999. Since independence, tension over this land has led to violence between two villages (some say it was deadly, others say just an exchange of blows). After repeated mediation failed, the dispute was sent to court, joining the hundreds of 'pending' land disputes that are either caught in the overall judicial logjam or simply awaiting a clearer legislative basis to make a ruling. As the ICG argued in its recent report, such complexities are not an excuse for more delay, but they should be a warning that something more than just a new titling regime is needed to address Timor-Leste's land problems. Legally enforceable property rights will protect property transactions, promote economic development, and help consolidate rule of law. Implementing this will require a comprehensive government response, including a better legislative process that leaves behind a clear understanding with the public about the law's content and impact, especially who stands to win and lose from its passage. Consistent policies for compensating those adversely affected and how to house those evicted are also needed. Mediation needs support, as the courts will be hard pressed to cope with the influx of cases. The social fabric of villages, which has held Timor-Leste together throughout its eight years of weak government, needs to be respected as much as any act of parliament. UNPol Daily Security Briefing 26 September 2007 - This is a broadcast of the UN Police in Timor-Leste to provide you with information about the security situation around the country. The security situation in Timor-Leste has been generally calm, but disturbances continue in the Bebonuk neighbourhood of Dili. Earlier today in Dili, UNPol attended five incidents, including two incidents of rock throwing: one in Comoro, and one in Matadoro. Police, including Formed Police Units (FPUs), brought both situations under control. One UN vehicle sustained minor damage in the process. Separately, at around 08:30hrs, approximately 35 people armed with sling shots and arrows attacked the community living near Bebonuk primary school. A Formed Police Unit responded swiftly and dispersed the attackers, and there were no reports of any injuries. On Tuesday in Dili, police used four cans of teargas whilst attempting to control a group of approximately 50 people who were fighting in Bebonuk. A 12-year-old boy sustained minor injuries in the fight and was taken to Dili Hospital. Also on Tuesday in Dili, police received a report of a critically ill newborn baby in Atauro. The international security forces (ISF) were contacted, and they sent a helicopter to the island to bring the baby and its mother back to Dili hospital. The baby is reported to be in a stable condition. On Tuesday in Bobonaro, police arrested three suspects in a case of assault and attempted robbery that took place on Sunday, 23 September. On Tuesday in Ermera, a house was set on fire in the sub-village of Riheu. All eleven occupants of the house managed to escape unharmed. Police have identified a suspect in the case, who is thought to be mentally ill. The Police advise to avoid travelling during the night to the most affected areas. Please report any suspicious activities. You can call 112 or 7230365 to contact the police 24 hours a day, seven days a week. East Timor News 1977-1985: Now online Issues of East Timor News (ETN) are now available in digitised form through the Timor Archives Newsletters Website. ETN was an Australian newsletter in the top rank of influential Timor solidarity newsletters in the early post-invasion years. In its first two years, it was the principal international vehicle for publicising, in English, radio communications from the Fretilin-led resistance inside Indonesian-occupied East Timor. It began as a fortnightly publication in a newspaper format of ‘tabloid’ size. Like most comparable Timor newsletters of the time, publication became less frequent in later years. After the loss of radio contact with the resistance in early December 1978, ETN continued production with analyses of available information and reproduction of significant reports, including mainstream print media articles. 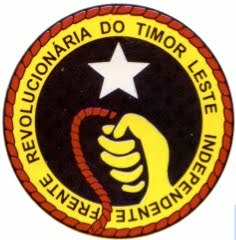 In the context of providing a foundation for the establishment of legal certainty based on the rule of law principles in accordance with Article 1 paragraph (1) of the Constitution of the Democratic Republic of Timor-Leste (RDTL) March 22, 2002, the establishment of a Law regarding Amnesty and Serious Crimes should be immediately realized. The establishment of a national Law regarding Amnesty and Serious Crimes is a need that must be implemented quickly. The establishment of a Law on Amnesty and Serious Crimes is aimed at removing legal dualism between the UNTAET law on the one hand and the RDTL law on the other hand. It is intended to avoid legal conflict that may hamper legal enforcement and the realization of legal certainty. Therefore, it is expected that truth and justice can be enforced. On that basis, the perpetrators of Serious Crimes should be taken to court to account for their actions, which constituted crimes against humanity or genocide. A former President of the Republic of Indonesia announced the options of independence or special autonomy to the East Timorese people on January 27, 1999. But it did not turn out as good as it was expected, because rapes, burning of people’s houses, public places and facilities, and genocide by military officers became uncontrollable. Based on those crimes, the Indonesian National Commission on Human Rights (KOMNAS HAM) recommended trials for those Serious Crimes. 1. The massacre in the Liquica Church (April 6, 1999). 2. The murder at Manuel Carrascalao’s house (April 17, 1999). 3. The murder in Kailako (April 1999) and the slaughter in Maliana Police Station (September 2-8, 1999). 4. The Los Palos Case (April 21– September 25, 1999). 5. The Lolotoe Case (May 2 – September 16, 1999). 6. The massacre in the Suai Church (September 6, 1999). 7. The attack on the residences of Bishop Belo and the Dili Diocese (September 5-6, 1999). 8. The massacre in Pasabe and Makaleb (September – October 1999). 9. The deportation, hunting, and murder of UNAMET staff and other crimes (April-September 1999). 10. Sexual abuses in many districts (March – September 1999). First : The desire that the perpetrators of Serious Crimes be taken to court. The reason is that their actions are inhumane and cruel so they must be put on trial as retribution. Second : The desire that the perpetrators of Serious Crimes be taken to court, but then given Amnesty. The reason is to maintain national harmony and the unity of the Timor-Leste people. Third : This view prefers the peaceful settlement of Serious Crimes through national reconciliation based on the “win-win solution” principle. This way, the national unity principles can be realised, because the whole community wants the controversy ended peacefully. Prisons and the Responsibility of Prison Guards in Timor-Leste. Fundasaun Mahein, September 22, 2010 Press Release - The government of Timor-Leste has recently decided to re(build) prisons in three places including Dili, Baucau, and Gleno districts. Fundasaun Mahein (FM) observes that Timor-Leste, as an independent nation built on the democratic principles, requires a good prison system. FM believes that a detention center is not only a place to house alleged criminals waiting for their trials, but also those serving a sentence for those verdicts when they have been handed down. A detention center is also a place where individuals can be rehabilitated via various activity programs to help the prisoners become better citizens upon their release. A limited number of prisons may also have a negative impact on the human rights of the prisoners. It is for these reasons that FM greatly welcomes the government’s decision to increase the number of prisons and/or rehabilitate the existing prisons Timor-Leste. FM underlines some of the major problems facing detention centers in Timor-Leste as ranging from the limited budget/funds to rehabilitate prisons, lack of physical development, and the increased number of prisoners that far exceeds the prison guards. All Timorese prisons are not only inadequately equipped with rehabilitative facilities but also remain understaffed. Moreover, the slow Timorese judicial system indicates that the number of prisoners will remain high, if not at its highest level of all time. According to FM, running a detention facility – one that respects democratic and human rights principles- can be immensely challenging under such circumstances. According to FM, there are less than 200 prison guards currently working in both prisons in Timor-Leste. It is estimated that around 151 guards are working Dili at Becora prison and Gleno prison has around 38 guards. Therefore, FM observed that the number of prison guards is not proportionate with the number of detainees currently housed in both Becora and Gleno prisons. Presently, there are around 222 detainees within Becora prison (Dili) accommodating around 194 detainees and Gleno houses around 28 detainees. Among these prisoners are also 17 juveniles. However, due to the absence of a separate juvenile facility, all the minors are currently housed with the adults although in a different block. Such a situation, FM believes, may have adverse physical and psychological impact on the juveniles. FM also recommends that the government provide capacity development programs to the prison guards through comparative studies in countries with well-established prison management. Such programs will enhance their knowledge and expose them to different ways in which other democratic governments run their prison system- one which respects human rights and democratic principles. Finally, FM also recommends that lawyers (both private and public defenders) should make regular visits to the prisons and particularly their clients to identify and attend to the legal problems the prisoners are facing. Having a regular visit from lawyers will help expose the prisoners to the basics of the law and hence make them feel less intimidated when brought before the court, FM concludes. Judicial System Monitoring Program DILI 24 September 2010 - On 17 September 2010 the Dili District Court read out its final decision in Case No. 233/C.ord/2007/TDD. This case related to the shooting incident and attack against members of F-FDTL that took place in Fatu-Ahi on 23 May 2006 that involved 28 defendants known as the petitioners and former members of PNTL. The final decision was announced by a panel of judge comprising Judge Antonino Gonsalves (presiding judge) together with judge Deolindo do Santos and judge Joao Felgar (international). 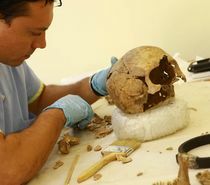 The prosecution unit was represented by Felismino Cardoso and the defendants were represented by Afonso Prado, an international public defender, and Jose Pedro Camões, a private lawyer. The hearing took place between 10:25 am -11:00 am. 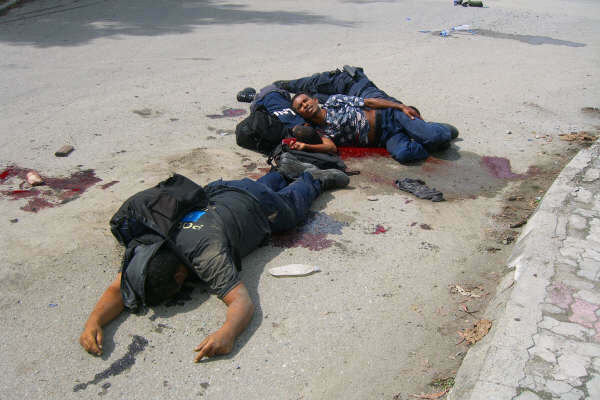 The shooting incident and attack against members of F-FDTL in Fatu-ahi is common knowledge to most people in Dili. As a result of this incident two members of the F-FDTL died at the scene and dozens of others were injured. The two victims were Captain Joabinho Noronha and Lieutenant Kablaki from F-FDTL. This was one of the many incidents that occurred during the crisis which had its roots in suspected discriminative practices within the F-FDTL which developed into a national crisis that was known as the 2006 political and military crisis. Executive Director of JSMP, Luis de Oliveira Sampaio, believes that the acquittal of all defendants in the shooting incident and attack in Fatu-ahi is extremely regrettable, because members of F-FDTL and PNTL died and many others suffered minor and serious injuries as a result of this incident. He also believes that the court is the only institution that is trusted to provide legal certainty and justice, and therefore the court should have been more diligent and cautious when deciding this matter to uphold justice for the victims and the families of the victims. JSMP understands the principle of law that dictates that defendants must be acquitted when a judge or court is in doubt. However JSMP notes that there were victims in this case, but the legal institutions, in particular the prosecution unit, were unable to prove who was behind this event. JSMP notes that the decision to acquit in this case adds to the long list of people given impunity for their involvement in a range of cases related to the 2006 crisis. JSMP observed that the court read out its decision based on the findings of the trial, which took into account the testimony of witnesses and defendants. In relation to the Fatu-ahi shooting, not a single witness or defendant told the court that they saw the defendants with their own eyes and many of them even said that they were not at the scene when the Fatu-ahi incident occurred. Some of the defendants’ names were mentioned by their colleagues during the trial. However they had not arrived there with the intention to attack members of F-FDTL, because they were acting under the orders of their superiors to conduct a patrol. They did not intend to attack. These witnesses claim that they should not have been brought before the courts. Rather they believe that their superiors who gave the orders should have been held responsible. Based on the evidence that was presented and examined before the court, the panel concluded that the proof was insufficient to convict the defendants. The court then decided to acquit the defendants. However, the court provided an opportunity to the prosecution to appeal against the court’s decision. The prosecution is waiting for the written decision to be released on 28 September 2010. JSMP notes that failures to provide sufficient evidence in major cases like this are a challenge for the justice system of Timor-Leste. In order to guarantee that this mandate is upheld, JSMP recommends for the prosecution unit to pursue all legal avenues against the court’s decision to prove who was behind the shooting incident. JSMP suspects that this decision might be an indication of the court’s inability to consistently carry out its mission, due to the stance of our state which has tended to reduce the role of the court in upholding justice and the law. The pardons granted by the president are a good example of this. JSMP understands that the court may be bearing a psychological burden in relation to the handling of cases from 2006 and 2008; however as a country that embraces the rule of law, we implore all parties to consistently apply the principles that underpin the rule of law in the pursuit of all matters pertaining to the state and the nation. Pada tanggal 17 September 2010 Pengadilan Distrik Dili membacakan putusan akhir terhadap kasus No.233/C.ord/2007/TDD. Kasus ini merupakan kasus yang terkait dengan penyerangan dan penembakan yang melibatkan ke 28 terdakwa yang merupakan para tentara petisi dan mantan anggota PNTL di Fatu-Ahi terhadap para anggota F-FDTL pada 23 Mei 2006. Persidangan dengan agenda pembacaan hukuman ini dipimpin oleh hakim panel yang diketuai oleh Hakim Antonino Gonsalves S.H bersama dua hakim anggota lainnya Deolindo do Santos S.H dan Dr. Joao Felgar (hakim Internasional). Sementara jaksa penuntut umum diwakili oleh Dr. Felismino Cardoso dan para terdakwa diwakili oleh Dr. Afonso Prado, dari Pengacara umum Internasional dan Jose Pedro Camões S.H. selaku pengacara pribadi. Proses persidangan dari jam 10:25-11:00 siang. Peristiwa penyerangan dan penembakan terhadap anggota FFDTL di Fatu-ahi tersebut secara umum diketahui oleh kebanyakan masyarakat di kota Dili. Sebagaimana juga diketahui bahwa dalam serangan tersebut mengakibatkan dua orang anggota dari satuan F-FDTL meninggal dunia di TKP dan belasan lain mengalami luka-luka. Dua korban tersebut masing-masing adalah bernama Kapitaun Joabinho Noronha dan Tenente Kablaki dari F.FDTL. Kasus ini merupakan satu dari sekian banyak kasus yang muncul akibat krisis yang bermula dari dugaan praktek diskriminasi dalam tubuh F-FDTL yang kemudian berlanjut menjadi krisis nasional yang dikenal sebagai krisis politik dan militer tahun 2006. Direktur Eksekutif JSMP Luis de Oliveira Sampaio S.H mengatakan bahwa, putusan bebas terhadap semua terdakwa kasus penyerangan dan penembakan Fatu-ahi sangat disayangkan, karena dalam peristiwa penembakan tersebut mengakibatkan jatuhnya korban di pihak F.FDTL dan PNTL dan sebagian lagi mengalami luka baik luka ringan dan berat. Lebih lanjut Ia mengatakan bahwa Pengadilan sebagai satu-satunya lembaga yang diharapkan untuk menjamin dan memastikan kepastian dan keadilan hukum, seharusnya lebih cermat dan hati-hati untuk memutuskan kasus tersebut demi menegakkan keadilan bagi para korban dan keluarga korban. JSMP menyadari bahwa dalam prinsip hukum memungkinkan bahwa jika hakim atau pengadilan ragu-ragu, hakim harus memutusbebaskan para terdakwa. Hanya saja menurut JSMP dalam kasus ini terdapat pihak yang dikorbankan, namum pengadilan atau institusi hukum lainnya, terutama pihak kejaksaan tidak mampu membuktikan siapa di balik peristiwa ini. JSMP mencatat bahwa putusan bebas untuk kasus ini menambah daftar panjang impunitas atas kasus-kasus lain yang terjadi dalam krisis 2006. JSMP mengamati bahwa dalam proses persidangan pengadilan membacakan putusan berdasarkan hasil persidangan-persidangan terdahulu. Sesuai dengan keterangan saksi dan keterangan terdakwa sendiri. Kasus penembakan Fatu-ahi tidak seorang pun dari antara saksi dan terdakwa yang berbicara di pengadilan bahwa mereka melihat terdakwa dengan mata dan kepala sendiri bahkan sebagian besar terdakwa menyatakan tidak berada di tempat ketika peristiwa Fatu-ahi Terjadi. Ada sebagian terdakwa yang namanya disebutkan teman-teman mereka saat dalam proses persidangan. Tetapi mereka datang bukan untuk melakukan penyerangan terhadap anggota F-FDTL. Tetapi mereka berada dibawah perintah atasan untuk melakukan patroli. Jadi bukan keinginan untuk melakukan serangan., Menurut beberapa saksi ini, seharusnya bukan mereka yang harus menjawab di depan pengadilan, melainkan atasan yang memberikan perintah kepada mereka. Berdasarkan semua alat bukti yang telah diproses dan diuji di depan pengadilan, kemudian hakim berkesimpulan bahwa bukti tersebut tidak meyakinkan pengadilan untuk menghukum para terdakwa. Pengadilan kemudian memutuskan untuk membebaskan para terdakwa. Namun demikian, pengadilan memberikan kesempatan kepada JPU untuk melakukan banding atas putusan pengadilan. Apabila pihak Jaksa berkeberatan atas putusan pengadilan tingkat pertama.. Sementara itu, JPU masih menunggu keluarnya putusan pada tanggal 28 September 2010. JSMP mengharapkan bahwa, kegagalan dalam pembuktian dalam kasus-kasus besar seperti ini merupakan tantangan bagi system peradilan Timor Leste. JSMP berharap dan sekaligus merekomendasikan kepada para jaksa penuntut umum untuk terus meningkatkan kualitas proses investigasi dan pengumpulan bukti yang lebih baik lagi di masa mendatang. Ini merupakan kewajiban institusional dari para institusi hukum seperti kejaksaan umum dan pengadilan untuk menegakan hukum. JSMP berpendapat bahwa wibawa hukum harus ditegakan melalui kerja keras dan professional dari institusi-institusi yang dimandatkan untuk mengemban misi tersebut. Untuk memastikan amanat itu, JSMP merekomendasikan kepada JPU untuk melakukan upaya hukum atas putusan pengadilan tersebut untuk membuktikan siapa pelaku di balik peristiwa penembakan tersebut. JSMP menduga bahwa putusan ini barangkali mencerminkan kelelahan pengadilan untuk secara konsisten menjalankan misinya, sebagai akibat dari prilaku bernegara kita yang cenderung meminimalisir peran pengadilan untuk menegakan hukum dan keadilan. Kasus pengapunan yang diberikan oleh Presiden sebagai contoh konkrit dari situasi ini. JSMP menyadari kemungkinan beban psikologis yang dihadapi oleh pengadilan atas kasus-kasus 2006 dan 2008, namun sebagai Negara hukum, semua pihak dihimbau untuk konsisten dalam menerapkan prinsip bernegara hukum dalam kehidupan berbangsa dan bernegara. This blog has been hacked again and posts about viagra and cialis published. Please note that these posts were unauthorised and were not posted by the author of ETLJB. We apologise, nonetheless, for any offence caused by these posts which have been removed. With the purpose of evaluating the advantages and disadvantages of developing the Micro-finance Institute into a commercial bank, which attends to the interests of the Timorese population, be it of the rural or the urban areas, a strategic and business plan, developed by the Ministry of Economy was presented in this meeting extraordinaire of the Council of Ministers. The Micro-finance Institute was created in 2001 with the support of donors through an Asian Development Bank microfinance project, with the objective of reducing poverty by conceding finance and other services to the population in most need of support. With the development that has been registered in the Country, the Micro-finance Institute started to divert from its initially objective, and such an increasing attribution of credits was verified that in 2008, the Asian Development Bank recommended that the Institute seek a banking licence to operate as a small commercial bank. In this way, still in 2008, the Micro-finance Institute’s actions were transferred to the Timor-Leste Government in order that obtaining the licence becomes feasible. The IV Constitutional Government is studying the most adequate mechanisms, in accordance to the legislation, so that the Institute may be transformed into a credit institution. 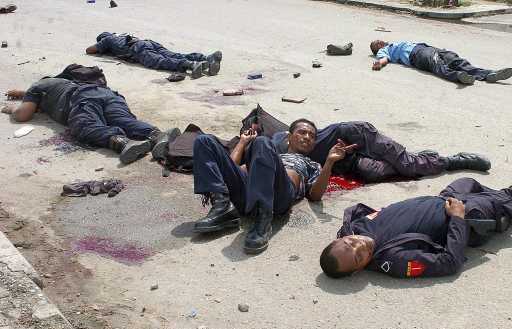 source: UN NEWS CENTRE - 11 September 2010 – The Timorese national police force on Friday resumed primary policing responsibilities in Ermera, the eighth district to be handed over from the United Nations since the gradual transfer of security functions began in May 2009. The Deputy Special Representative of the Secretary-General noted that some challenges will still need to be overcome and pledged that the UN will step up its support, including mentoring members of the Polícia Nacional de Timor-Leste (PNTL). “The long-term stability of the country depends to a large extent on the development of an effective and professional police service in which the community can have confidence,” Shigeru Mochida said at the handover ceremony, which was also presided over by Vice Prime Minister José Luís Guterres. “This is a big responsibility for all police officers, and we are all grateful to you for taking on this responsibility,” he added. The PNTL was established in March 2000 by the UN Transitional Administration in East Timor (UNTAET), which was set up to assist the country during its transition to independence, which it attained in 2002. In the aftermath of the violence that erupted in 2006, a UN police force was established to maintain law and order in the country until the national police could be reorganized and restructured. The UN Integrated Mission in Timor-Leste (UNMIT) was set up to oversee the process. UN Police will maintain their presence in the districts where the PNTL have resumed responsibilities to monitor, advise and support the national police, including in the area of human rights protection. The resumption process is being implemented jointly by the Government and UNMIT on a district-by-district basis following an assessment of the PNTL's readiness to assume primary policing responsibilities. In addition to the districts that have been handed over since the process began last year, the PNTL has assumed responsibility for the administration and management of the Police Training Centre, the Maritime Police Unit and the Police Intelligence Service. Geneva: ITU is proud to announce that the Democratic Republic of Timor-Leste has become the Union’s 192nd member state, effective from 24 August 2010. The country, which gained its independence on May 20, 2002 to become the 21st century’s first new sovereign state, utilizes the international dialling code +670, and the internet top-level domain country code (TLDcc) .tl. Timor-Leste’s mountainous terrain makes for challenges in connecting its people. Latest ITU figures (from 2009) show fixed line telephone teledensity (number of fixed telephone lines per 100 inhabitants) as low as 0.2 per cent, with mobile penetration at 29.1 per cent. Mobile connectivity is growing very strongly, with over 200 per cent growth reported in 2009. As a new ITU member state, Timor-Leste will participate for the very first time in ITU’s Plenipotentiary Conference, which will take place in Guadalajara, Mexico from 4-22 October. Held every four years, the conference defines, in particular, the future work plan and strategic goals of the Union. Setembru 2010 - Judisial System Monitoring Programme (JSMP) liu husi unidade Programa Observasaun Parlamentu (POP) organiza tradusaun la’ós ofisiál (unofficial) bá lian tetun konabá Livru IV husi Esbosu Lei Kódigu Sivil ne’ebé regula konabá asuntu Família nian. JSMP organiza rasik tradusaun ida ne’e tanbá hanoin katak importante tebes atu povu no sosiedade sivil hotu bele partisipa iha prosesu dezenvolve lei importante ida ne’e, ne’ebé sei afeita ema hotu nia moris lor-loron nian. Luis de Oliveira Sampaio, Direitór Ezekutivu JSMP, dehan katak ‘Mesmu tuir loloos, Governu mak iha responsabilidade atu tradus esbosu lei hotu bá Tetun nune’é ema hotu bele partisipa iha prosesu legislativu, tanba ne’e, JSMP deside hodi organiza tradusaun la’ós ofisiál ne’e atu ajuda povu Timór Léste tomak fo sira nia hanoin konabá Lei Família ne’ebé sei regula relasaun entre membru família iha sira nia nasaun ida ne’e.’. Liu tan nia hatutan liu tan katak maske tradusaun ne’e karik la hanesan loloos ho nia versaun original, maibe ‘JSMP espera katak tradusaun ida ne’e sei mós ajuda deputadu sira atu halo análiza bá esbosu lei importante ida ne’e no asegura katak lei ida ne’e sei refleta situasaun real iha Timór Léste nian no sei hasa’e kualidade povu nia moris iha futuru. JSMP fiar katak Komisaun A Parlamentu Nasionál sei simu submisaun sira husi sosiedade sivil konabá esbosu lei Kódigu Sivil liu husi audiensia públiku kuandu sira fila husi feriadu ka resesu iha fulan Setembru. Depois ida ne’e, Komisaun A sei prepara relatoriu paraser ho komentariu konabá esobsu lei ida ne’e no sei lori bá plenária hodi debátu iha sesaun jeneralidade no espesialidade. · Livru V: Lei konabá Susesaun (heransa/warisan). Tanba limitasaun kbiit ka rekursu orsamentál, JSMP deside atu tradus deit Livru IV no konsidera katak livru ida ne’e iha impaktu boot bá ema hotu iha Timór Léste tanbá sei regula asuntu sira hanesan Kazamentu, Responsibilidade Inan-Aman, Adopsaun no Alimentasaun. Maske JSMP konsidera katak livru sira seluk mos importante, maibe JSMP hanoin katak kestaun sira iha leten nu’udar kestaun ne’ebé sempre lor-loron povu sira infrenta. Mesmu esbosu lei ida ne’e komplikadu no narúk teb-tebes, JSMP enkoraja ema hotu atu hanoin konabá oinsá sira hakarak governu atu regula sira nia relasaun sivil no atu fo sira nia hanoin konabá asuntu ida ne’e bá Parlamentu Nasionál, liu husi submisaun formal ka mekansimu seluk hanesan ko’alia ho deputadu sira. Sé hakarak atu hetan tradusaun tetun la ofisial Livru IV bele hetan husi JSMP nia webpage: www.jsmp.minihub.org. Setembru 2010 - Judisial System Monitoring Programme (JSMP) liu husi Unidade Programa Observasaun Parlamentu (POP) iha Quarta feira 25 Agostu 2010 liu bá, hala’ó Fokus Group Diskusaun (FGD) konabá Esbosu Lei Instituisaun Memoria no Esbosu Lei konabá Reparasaun iha fatin Masacre Bob-Uf Tumin, Suco Bobometo, Sub Distrito Oe-silo, Distrito Oe-Cusse. Luis de Oliveira Sampaio Direitór JSMP hateten, objetivu husi FGD ne’e atu fahe informasaun no rona direitamente idea ka opiniaun husi vitima vulnerabel sira ne’ebè laos kategoria veteranus ka idozus atu fo sira nia hanoin relasiona ho esbosu lei instituisaun memorial no esbosu lei reparasaun ne’ebé sei fo benefisiu ba sira. Enkontru ne’ebè organiza husi JSMP ne’e, hetan entusiasmu makas husi vitima sira. Maske fou-foun xefe suco Bobometo limite atu hili deit ema nain 30 wainhira JSMP to’o iha fatin FGD partisipantes barak liu hamutuk 78 mak hakarak partisipa hodi rona informasaun. · Vitima ejije ba Parlamentu Nasional atu tau matan ba ema sira ne’ebè lakon sira nia vida iha tinan 1999 liu-liu iha loron 8 to’o 9 fulan Setembro 1999. · Husu ba Parlamentu no Governu atu harii museum kompleita ho monumentu ida iha fatin Masacre hotu-hotu, liu-liu ba Tumin, atu nune bele haloot sasan faktus hanesan Kalsa, Kamiza, Tali, Sintu, Kadeli, vitima sira ne’ebé ema oho no oras ne’e sasan hirak ne’e sei rai deit iha kaixa Supermi. · Husu mos ba governu atu rekruta seguransa permanente iha fatin masacre hotu-hotu liu-liu ba Tumin atu nia responsabiliza hamoos no hein monumentu inklui museum ne’ebè atu tau sasan vitima sira nian ne’ebè konsidera hanesan memoria. · Husu ba Parlamentu atu hari’i escritoriu nasional ida ne’ebe independente inklui eskritoriu distrital ba vitima hotu-hotu inklui escritoriu ida iha Distrito Oe-Cusse atu nune’e bele implementa direitamente esbosu lei rua ne’e ba sira vitima iha futuru. · Vitima sira mos husu ba Parlamentu no Governu wainhira Prezidente Repúblika promulga tiha lei rua ne’e tenke sosializa to’o iha vitima sira iha baze. · Vitima Bob-uf ka masacre Tumin rekomenda ba komisaun A Parlamentu Nasional no ba meja plenaria parlamentu atu hahu ona diskute konabà esbosu lei rua refere iha fulan Setembru ka Otobru 2010. · Vitima masacre Tumin mos ejije ba estado Indonesia atu kontribui mos fo reparasaun ba vitima sira iha Timor Leste. · Konabá justisa vitima Masacre Tumin entrega responsabilidade tomak ba estado Timor Leste no Indonesia atu prosesa autor krime grave sira iha futuru. Direitór JSMP hein katak, hosi rekomendasaun ka ejijensia sira ne’ebè vitima Masacre Bob-Uf Tumin hato’o ne’e membru Parlamentu Nasional sira bele konsidera atu akumula sira nia hanoin iha esbosu lei Instituisaun memoria no esbosu lei reparasaun antes aprova hodi responde duni vitima sira nia preukupasaun. Luis de Oliveira Sampaio mos reafirma nafatin JSMP nia pozisaun katak tenki iha justisa ba autor krime grave sira maske vitima sira hakarak entrega responsabilidade tomak ba estado Timor Leste ho Indonesia hodi prosesa autor krimes sira. Note : halo favor ignora JSMP ninia publikasaun (Press Release) iha loron 7 Setembru 2010 kona bá “Vítima Masakre Bob-Uf Tumin Rekomenda atu Parlamentu rona sira nia idea” No konsidera Press ne’ebé ami haruka tuir mai ne’e mak hanesan versaun final. Setembru 2010 - Iha loron 08 fulan Setembru 2010 Tribunal Distrital Dili halao audensia julgamentu hodi le’e akórdaun ba kazu tentativa violasaun seksual ho Nu. prosesu 144/C.ord/TDD/2010., Kazu ne’ebé mak komete husi kondenadu Januario da Costa hasoru lezada MM ne’e akontese iha Comoro, Aldeia Kampung Merdeka iha loron 24/02/2010 liu ba. Depois faze prosesu julgamentu sira halao, ikus mai tribunal deside hodi fo kastigu pena prizaun tinan 5 no selu indemnizasaun ba lezada ho valor US $ 500. Audensia ba le’e akórdaun ne’e derije husi Juiza Maria Leonor Botelho. Iha parte seluk, Ministériu Públiku reprezenta husi Dr. Hipolito Exposto no husi Defensoria Públika reprezenta husi Dr. Fernando Expostu (Defensor Públiku estajiadu). Bazea ba materia akórdaun ne’ebé mak le’e husi juiz deklara katak faktus ne’ebé mak provadu mak: lezada ba iha kampung Merdeka maizumenus tuku 09.00 dader atu hasoru testemuña WC. Iha duni momentu ne’e, kondenadu bolu lezada ba tu’ur iha varanda no la kleur kondenadu tebe lezada nia ain hodi kous lezada ba kuartu laran no hasai lezada nia ropa no hasai mos nia kalsa rasik hodi tenta halo relasaun seksual ho lezada, maibe aktus ne’e la konsege realiza ka konsumadu tambá hetan salva husi testemuña WC. Alien de ne’e kondenadu mos la hatudu nia arependementu ba krime ne’ebé mak nia komete ona durante prosesu julgamentu nia laran. Bazea ba monitorizasaun ne’ebé mak JSMP halo katak pena ne’ebé mak hamonu ba kondenadu bazea ba artigu 23 (tentativa) no 24 (tentativa punivel) junta ho artigu 172 konabá violensia seksual husi Kódigu Penál ne’ebé mak nu’udar mos baze akuzasaun husi Ministériu Públiku nian. JSMP mos konsiente katak hahalok ne’ebé mak kondenadu halo nu’udar krime tambá, obriga no tenta atu halo violasaun seksual, kontra lezada nia vontade seksual no atu satisfaz kondenadu nia interese deit. Iha julgamentu ne’e juiz mos esplika ba kondenadu katak nia iha direitu atu halo rekursu hasoru akórdaun ne’e, se kondenadu ho nia defensor la satisfas ho akórdaun ne’e. JSMP mos kongratula esforsu tomak husi autor judisiariu sira hodi hametin justisa no proteze direitu feto nu’udar individu ka pessoa ne’ebé mak vulneravel ba hahalok krime. Hein katak hahalok krime, liu-liu krime kontra feto bele diminui ka hamenus ho esforsu tomak autores tribunais nu’udar entidades ne’ebé mak iha reponsabilidade institusional atu halao knaar judisial. Fundasaun Mahein, 14 July 2010. Press Release Land Dispute and National Instability in Timor-Leste - Fundasaun Mahein (FM) Nia Lian number 8 will discuss land disputes in Timor-Leste, which covers the land, properties, and Islands that are part of Timor, including the border areas which were divided by the foreign occupations of the Island of Timor. The report also highlights in depth, the problems that arose during the Portoguese invasion, and the land problems experienced during the Indonesian occupation, and during 1999. The report also explains about the complexity of the land situation which is linked to land and development, land and instability and the strength of ownership rights over property. Lastly, FM ends with a conclusion and recommendations. Land disputes have occurred since the Portuguese time and worsened during the Indonesian time, because of the ruin they caused in Timor-Leste in September of 1999. The 1999 violence forced people to leave their lands and homes, consequently, leaving their ownership documents and files to be burned and ruined. Most of the land documents lost, were those belonging to people who were pro independence. In this edition being published FM will talk about the fact, that during 450 years of invasion in Timor-Leste, the Portuguese government only released 2.709 land certificates to their Portuguese subordinates and the local kings that were working for them. On the other hand, FM points out, that during 24 years of the brutal Indonesian occupation in Timor-Leste, 44,091 land certificates were given to the Timorese who were affiliated with Indonesia, and were not people who were pro independence. The complexity over land issues continued to be a big concern for many people. There is a lack of security regarding land claims, and the people are not confident of their ownership of their land and the houses they live in, because the system is not clear. This obscurity over land ownership has led to conflicts and has made the process of mantaining peace and development difficult. The land claims still being disputed, and other conflicts over property ownership, have been a major barrier for development activities. The 2006 crisis forced 150,000 Timorese to become internaly displaced pesons for two years. That crisis has indicated to observers, that Timor-Leste has the potential for conflict in the future. It was clear enough, on the surface, that the crisis happened because of problems between the army and police. However, in the end, the public noted that there were many political interests groups and individuals who were involved, in addition to the many unsolved problem that resurfaced. It can be noted that the cause was not from one single factor only, but it was a crisis caused by multiple factors. FM recommends in the report, that The National Parliement needs to discuss in-depth, the special bill about property rights which was approved by the Council of Ministers, to guarantee national interest. Rights over land are fundamental rights for everyone and based on life and personal identity which needs a law, that can reflect the indentity of all Timorese. FM recommends that the Justice Minister and USAID publish the Memorandum of Understanding that is related to the implemantation of the “Ita Nia Rai” land registration program, so the public can better understand what the project is, and to better guarantee a transparent implementation process of the program. Click here to access the report in Tetun language. Fundasaun Mahein 19 August 2010 Press Release Organized Crime in Timor-Leste - Weekly News Paper, Tempo Semanal recently (August 13, 2010) wrote an article about the two Indonesian citizens arrested for selling illegal drugs in Timor-Leste. Both suspects are currently under judicial investigation. This case indicates that organized crime is presently operating in Timor-Leste. Organized crimes are illegal activities (or crimes) committed by individuals and/or organizations with intelligence and with financial capital involving illegal transactions with a high level of sophistication. They include, among others, human trafficking, widespread criminal activities, illegal electronic transactions, prostitution, money laundering, drug smuggling, and terrorism, and controlling groups of professional thieves, stealing of vehicles, assault, extortion rackets, etc. Organized crime normally occurs in places where their benefactors can secure lots of material and financial gains. In 2010 Timor-Leste’s State budget ratification amount was USD 837.981.000 million in addition to several different financial packages for development projects such as the Referendum and Desentralization Development packages. The large amount of the State budget has the potential to attract organized crime and hence may make Timor-Leste a breeding ground where organized crime can thrive. Seeing the large amount of cash flow, might increase organized crime in Timor-Leste. On the other side, it is also estimated that the absence of an integrated security system, only recently established with the Border Pass scheme launched between the governments of Timor-Leste and Indonesia, may have contributed to (and paved the way) for organized crimes in Timor-Leste. According to Fundasaun Mahein (FM), it is observed that many organized crimes have taken place in Timor-Leste in the form of human trafficking, prostitution, and drug-dealing. These crimes have occurred and gradually increased, since the approval of the 2008 State budget until this present. In October 8, 2008- the RDTL Council of Ministers, approved a number of decree laws such as the Decree Law on Private Investment, Social Competition, and Diploma on the Pricing of Consumables. All of these decree laws prohibit crimes such as the illegal transfer of money, drug-dealing, and money laundering. FM believes that the operation of organized crimes in Timor-Leste undermines goverment authority because of the threat it poses to public security. The unsettled organized crime issue, will also hamper the development process in Timor-Leste. It is also the opinion of Fundasaun Mahein that the decree laws passed by Timor-Leste government remain insufficient in dealing with organized crime currently involved in Timor-Leste. Therefore, it is at the recommendation of Fundasaun Mahein that the government conducts a thorough investigation, auditing all national and international companies operating in Timor-Leste which are believed to have potentially been involved in human trafficking, illegal transactions and other crimes as mentioned above. This also involves an oversight of the activities of foreign workers in Timor-Leste, conducting background-checks of the foreign workers travelling in to, and out of Timor-Leste as well as the background of the organizations with which they work. FM also recommends the government creates an integrated system of security along the border between Timor-Leste and Indonesia; a process which involves not only the officials of the border control in both countries, but also the community leaders living along the frontiers of both countries. A system must be established to share and transfer data and information as to the potential suspects of organized crimes that might be operating in both countries. As part of this effort, the government should ensure that those involved, not only receive efficient support, and decent wages, but also have a proper oversight mechanism. These actions will help prevent organized crime groups from corrupting and infiltrating the system meant to counteract their activities, by way of their access to large amounts of cash. Furthermore, it is also recommended that the government of Timor-Leste carefully identify those using Border Passes and Passports, to ensure the credibility of their documents and prevent the entry of individuals with falsified documents in to, and out of Timor-Leste. Finally, it is also at the recommendation of FM that the Timor-Leste government should work with international banks such as ANZ, Bank Mandiri, and Bank Nacional Ultramarino to create an administrative security system preventing the practice of money laundering by those involved in organized crime. Fundasaun Mahein Press Release, 5 Sept 2010 - According to Fundasaun Mahein (FM), most media outlets in Timor-Leste, print media and electronic media alike, publish coverage of events that are only based on rhetoric from meetings or seminars or workshops, which the media shares as news without any checking of the factual evidence of the statements made in these meetings and seminars and workshops. Not very often, does the media receive documentary evidence to confirm the true nature of the statements being provided. This makes the media, in certain cases, seem weak in their presentation of evidence of factual news being published. Often times, their reporting is obscure, and in the end, has the potential to create conflict in the community. Based on FM investigations, we can say that, Suara Timor-Lorosae (STL) publications during have victimzed at least 11 people, six of them being female senior high school students, as well as at least 4 Institutions, two of them being government institutions. The publication on 13 Juli 2010 created a problem in the community between the FALINTIL veterans and the PNTL Commander of the Dili District, Pedro Belo, and STL. FM underlines that the conflict between STL, the Veterans, and Commander Belo, was a provocation caused by the coverage of journalists who have no security and defense background. FM notes that many media outlets in Timor Leste do not task the correct journalists to the right situations. Sometimes those journalists with an education and entertainment background are tasked to cover news about security and defense issues. An obscure role for journalists also causes different methods of coverage and analysis on defense stability and internal security. Therefore, FM acknowledges that STL in its reporting, quite often provokes political conflict. The conflicts victimize many people, not just the Veterans, politicians, and PNTL. The recent coverage from STL also victimized students who were photographed and then kicked out of school. FM calls upon all media to make a positive contribution to peace and stability in Timor-Leste, and to practice peaceful journalism which is not oriented towards provocations. FM invites the media outlets to increase the capacity building for their journalists, especially when covering security and defense issues, so they produce better quality news reports. Therefore the media needs to undergo a paradigm shift in their practice of journalism, to contribute to democracy and peaceful reconciliation. Several of STL’s reports have created conflicts between the Veterans, PNTL Dili District Commander Pedro Belo. In order to counter this conflict in the future, FM recommends to National Parliament Committee B, intervene in the future, if any similar reporting takes place, to get rid of pro-con opinions being disseminated in the community. FM also recommends the government forms independent investigation teams to find the hidden motives in all STL reports that cause conflict. Propaganda has the potential to disrupt normal life by promoting false ideas and misinformation. Media institutions have a responsibility to the public to provide clear and factual information. It is a responsibility that must be taken seriously. STL’s recent reporting caused many in the community to be suspicious of their intentions, because of their relationship with United Heroes of Timor/Uni Timor Asuwai UNTAS. This is something the government, and other media outlets should investigate as well. Fundasaun Mahein also recommends that a council of press be formed which can work together to solve any problems that arise from poor quality media reporting. FM also recommends that the media provide the facts they are basing their articles on, and not provide opinions about statements and documents, without labeling them as being Editorials. ETLJB 10/09/2010 SYDNEY - A peak civil society law and justice organisation in East Timor, the Judicial System Monitoring Program, has condemned the pardoning of criminals who committed serious crimes during the 2006 crisis and the attacks on the Prime Minister and President on 11 February 2008. Amongst the 26 convicts that were pardoned, 3 were found guilty by the Courts and sentenced to long prison terms for the shooting murders of 8 police officers in front of the Ministry of Justice by military personnel on 25 May 2006 . The other 23 were found guilty for their involvement in the attack and attempted murder of the President and Prime Minister during which the President himself almost died. In a press release on 31 August 2010, JSMP stated that the practice of granting pardons by the President in East Timor has created a great deal of confusion. “We all understand that the justice system in Timor-Leste still remains extremely vulnerable and is undergoing a process of reconstruction. Therefore JSMP is concerned that if one of the components of the state or one of the sovereign organs does not take a sensible and careful approach to the exercise of prerogative rights then this can seriously threaten the importance of and commitment to establishing a legal system that is credible, authoritative and independent. Irresponsible political decisions like this will destroy the functioning and credibility of the legal system itself,” the statement continued. 1. The pardons were granted to all convicted persons on an equal basis, although they were involved in crimes of a different nature. The pardoning process was not based on individual assessment of the circumstances of each convicted person, which is the normal practice. The use of authority outside of the normal process can lead to the discriminatory use of presidential authority in the granting of pardons because other convicted persons who have served their prison sentences have not received a pardon or had their sentence commuted. 2. The decision of the president to grant pardons to the 26 convicted persons indicates that the decision issued by the court was not appropriate or even erroneous. This is indicative of an ‘extraordinary’ practice, because ideally pardons are only granted in exceptional circumstances, and there shouldn’t be a practice to grant pardons every time there is an important day on the calendar. 3. Pardons should only be granted in situations where specific consideration has been given to an individual case or a convicted person. Cases and convicted persons should not be grouped together and assessed collectively, which has occurred in this instance. 4. The 26 convicted persons who were granted pardons had been given different sentences (their prison sentences ranged from 5 to 11 years). These sentences reflect the fact that each convicted person was found guilty of crimes carrying various degrees of gravity and subsequent penalties. Decisions issued by the courts are always based on the facts revealed through a trial process that is thorough and credible. Therefore the President must present reasons why the court’s decision was deemed inappropriate or why the full sentence, or at least half of the sentence, should not be served. 5. Every paragraph in the Presidential Decree on Pardons provided the following grounds: “good behavior and for humanitarian reasons”. This indicates that there was no separate assessment of each convicted person during his period of imprisonment. These sorts of practices will end up destroying normal procedures, minimizing the authority of the courts and rendering court decisions meaningless. 6. JSMP believes that the President should only be able to reduce the sentence of a convicted person in accordance with the length of his sentence, which is a reflection of his culpability for the actions that he has committed, and President should not be able to release a convicted person from his sentence in its entirety. 7. Article 65 (2) of the Timor-Leste Penal Code allows for a prison sentence to be commuted to ‘conditional release’ if the convicted person has displayed good behavior and has served half of his sentence. 8. The aforementioned granting of pardons relates to very serious crimes, even though they are not categorized as crimes on an international level, but they still fall into the category of very serious crimes and have extremely serious implications on the criminal justice system and the community. 9. This decision also reflects a policy that does not value and respect the supreme efforts of the judicial institution and does not encourage the public to have faith in the judicial system. In addition to the reasons outlined above, JSMP believes that although the President has exercised his competence pursuant to Article 85 (1) of the Constitution, this article should be read together with other articles that deal with the Principle of Universality (equality before the law), the principle of the independence of judicial institutions and a number of other principles. JSMP is particularly concerned and truly regrets the actions of the President who has often mentioned that his decision or policy to grant pardons is a reflection of his personal conviction and his own philosophy as a human being. JSMP believes that the conviction and personal philosophy of a president are not recognized as a law that must be observed and implemented by the government to regulate matters concerning the granting of pardons. In reality, this type of practice does not give much hope that in the future there will be a legal system that will provide equal protection for all people; on the contrary this will specifically destroy the framework of the nascent criminal justice system. FRETILIN MEDIA RELEASE DILI, 8 September 2010 Deputy Prime Minister a 'scapegoat' for government corruption says Alkatiri - De facto Prime Minister Xanana Gusmao has launched an offensive against his own deputy Mario Carrascalao aimed at stopping Mr Carrascalao from exposing ministerial corruption, FRETILIN Secretary General and former Prime Minister, Dr Mari Alkatiri, said today. Dr Alkatiri said Mr Gusmao is seeking to discredit Deputy Prime Minister Carrascalao's anti corruption stand and make him a scapegoat for government financial mismanagement. Mr Gusmao appointed Mr Carrascalao as Deputy Prime Minister for State Administration on 22 January 2009 with special responsibility for combating corruption. Procurement powers were transferred from Procurement Depatment in the Ministrey os Finance to Mr Carrascalao's office. But on August 25 2010 Mr Gusmao's Council of Ministers rebuked Mr Carrascalao, stripped him of his powers over all government procurement and handed the powers to line ministries. "This is the fourth time the Gusmao administration has changed the legal mechanism for undertaking government procurement - another example of its incompetence and maladministration," Dr Alkatiri said. On September 2 the AMP de facto government's spokesperson Mr. Agio Pereira issued a statement accusing Mr Carrascalao of seeking to "defame and intimidate" government members with "unfounded allegations of corruption " (Link: http://timor-leste.gov.tl/?p=3762&lang=en). On the same day Mr Gusmao described Mr Carrascalao as "a stupid person" who had "made a lot of money from the spilling of (Timorese) blood" during the Indonesian occupation of East Timor (Link: http://temposemanaltimor.blogspot.com/2010/09/xananas-calling-mario-carrascalao.html). Dr Alkatiri said as the head of the AMP de facto government Mr Gusmao must take responsibility for the repeated policy and administrative failures and widespread corruption in his administration instead of looking to blame others. "However, Mr. Carrascalao is not blameless. He was very naive to accept such a task in such circumstances. There has been no political will shown by the de facto government to fight corruption. He clearly did not appreciate that strengthening the state’s procurement agency is an essential element to effectively fight corruption. From the outset his endeavors were were weakened by resistance from colleagues determined to stop his attempts to reform procurement, and his investigations into corruption, misconduct and maladministration. "We do not doubt Mr Carrascalao's good intentions but we warned him publicly that Mr Gusmao was setting a trap for him and that he would be made the scapegoat one day. Most all he should have realized that accepting the task of executing USD$180 million in capital development expenditure with such demonstrable lack of procurement and financial management capacity, as well as lack of commitment to transparency in public finance management could only have placed him in the position he is now in," Dr Alkatiri said. "Mr Carrascalao's treatment shows that incompetent and crooked ministers will be allowed to stay at their posts long after Mr Gumsao should have got rid of them. "This incident shows the rot has clearly set in, and there is a crisis of trust between ministers and leaders of the various factions of the de facto government. "Mr Gusmao cannot escape responsibility because it was he who created this disparate and divided coalition of people who do not have a common vision, who have no record of civic duty, who see high office as an opportunity for personal financial gain, and including people who were not nationalists but stood against Timorese nationalism." Digital Daily - Thursday, September 9, 2010 - FRETILIN’s leader and former prime minister of Timor-Leste, Mari Alkatiri, said today that his party is not willing to form a Government within the current parliamentary term, despite being the party with the most seats. "I have already communicated to the President that we are not willing to form a Government for two years, because at least two years will be needed just to correct the mistakes made by the de facto Government, led by Xanana Gusmao," he said. Speaking to Lusa, Mari Alkatiri stressed that FRETILIN promotes stability and therefore will not take advantage of the current political crisis created by the resignation of Deputy Prime Minister Mario Carrascalao, to make a grab for power. SYDNEY MORNING HERALD Lindsay Murdoch September 9, 2010 DARWIN: A bitter row over allegations of corruption has destabilised East Timor's ruling four-party coalition, leading to the resignation yesterday of a deputy prime minister appointed early last year to crack down on ministerial corruption. Mario Carrascalao, 73, the patriarch of the one of the country's most powerful families, said he was left with no option but to quit over personal attacks on him by the Prime Minister, Xanana Gusmao, which included calling him an ''idiot''. Mr Carrascalao said that Mr Gusmao had ignored the alleged loss of $US3 million ($3.3 million) in government funds and instead spread untruths about him. Mr Gusmao could not be reached for comment. In a blistering resignation letter obtained by the Herald, Mr Carrascalao detailed 29 criticisms of the government that he said he identified in the first four months of being appointed Deputy Prime Minister and Co-ordinator for State Administration. His criticisms included failure to curb domestic violence, lack of compulsory education, problems creating laws that established a rule of law, lack of justice and one of the world's slowest bureaucracies. Late last month the government's Council of Ministers stripped Mr Carrascalao of his powers over government procurement, handing the powers back to ministers and accusing him of making unfounded allegations. A week later a government spokesman, Agio Pereira, issued a statement saying Mr Carrascalao's actions and lawsuits emanating from his office had caused budget delays and impaired service delivery in government departments. ''To date the Office of Vice-Prime Minister Carrascalao has made no advancements in identifying, discovering or uncovering any corrupt activities,'' Mr Pereira said. Instability in the government will make it more difficult for the Prime Minister, Julia Gillard, to negotiate her proposal for a regional asylum centre in East Timor, although Mr Carrascalao was a vocal opponent of it. Mr Carrascalao's Social Democratic Party, or PSD, is likely to withdraw from the governing coalition as early as this weekend, giving a majority in parliament to an opposition led by Fretilin, the largest political party. The PSD president, Zacarias da Costa, who is the Foreign Minister, has not spoken with Mr Gusmao since a bitter falling-out in April. In recent months Mr Gusmao has sidelined Mr da Costa and intervened in foreign issues. Fretilin's secretary-general, Mari Alkatiri, has said the opposition would not use any majority it might get as a result of the crisis to bring down the government at the moment. But he has made clear the opposition would demand that national elections be brought forward from 2012 to next year. Dr Alkatiri said Mr Gusmao had waged an offensive against Mr Carrascalao aimed at stopping him exposing ministerial corruption. ''Mr Carrascalao's treatment shows that incompetent and crooked ministers will be allowed to stay in their posts long after Mr Gusmao should have got rid of them,'' he said. Mr Carrascalao is a former Indonesian-appointed governor of East Timor, whose family has vast business interests in the country.